"The room looks great in the Le Toy Van dolls house. 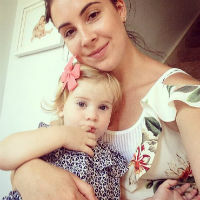 Alexa and Edie loved setting up the house and placing the furniture in each room like interior designers." "Each part is brilliant quality and they’ve spent ages playing together without any arguments - winner! The furniture is easy to move around and looks great no matter where." 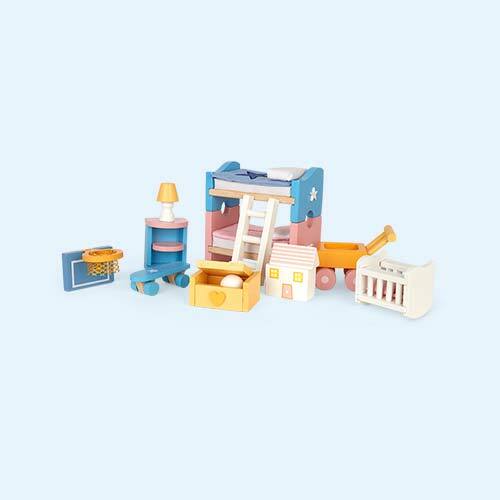 "This set is a perfect addition for their doll's house. We love a dining room!" Develop your kids' imaginations with the Le Toy Van Sugar Plum Dining Room Set. 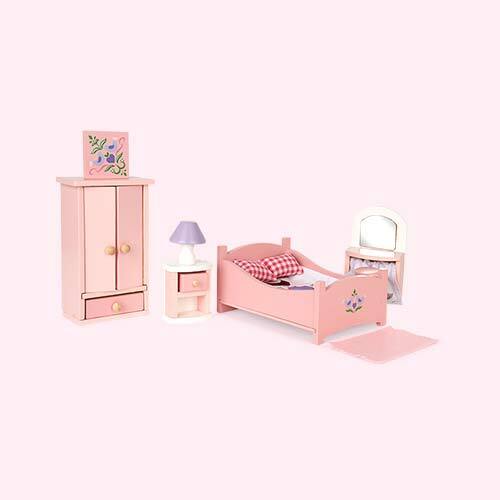 This set includes a table with four chairs, a tablecloth and crockery, a sideboard with three miniature pots and a pretty hanging flower picture. 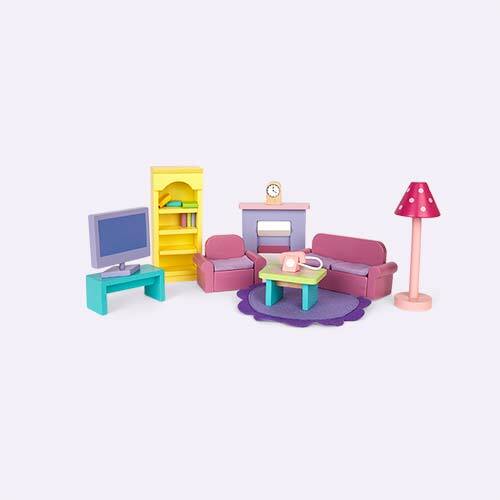 It's a great way to make up a room in their doll's house.